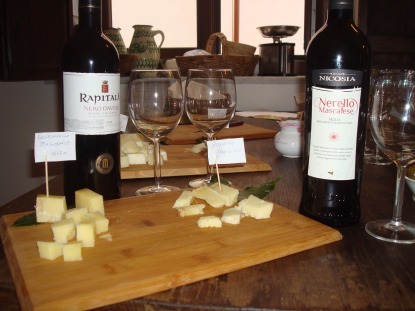 Discover Sicily’s culinary heritage on 2-hours Italian wine and cheese tasting experience. 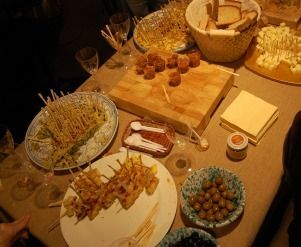 Sample an excellent variety of white and red wines, regional artisan cheeses. Your local guide will discuss the foods and tell you everything you need to know about Sicily’s gourmet delights. 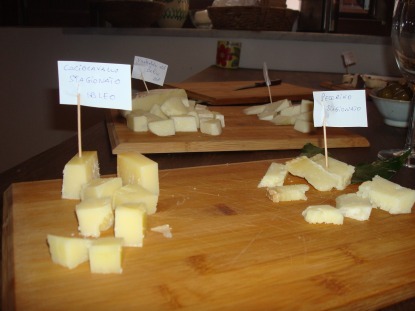 A 2-hours Palermo wine and cheese experience located near in the popular Vucciria Market. Enjoy six glasses of local white and red wines, paired with six sicilian cheeses. 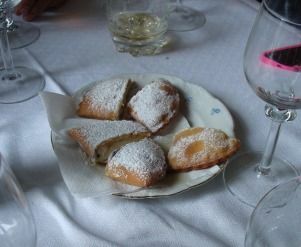 Conclude your tour with another delicious wine, the Zibibbo, which will go perfectly with a Cassatella of San Vito lo Capo (typical ricotta sweets). 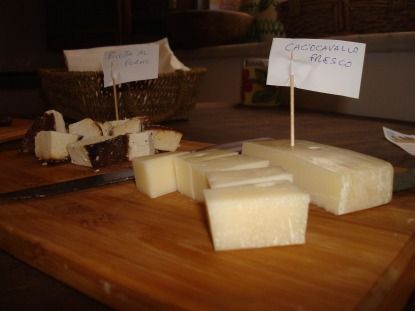 Caciocavallo is made from cow's milk, Caciocavallo is a good complement to stronger wines and widely used for grating over pasta. We suggest to taste it with wine Frappato accompanied by good bread of Castelvetrano. Canestrato is made from whole cow's milk, sometimes diluted with that of sheep. It is quite similar to Pecorino. It is usually somewhat sweet until aged more than fourteen months. In Siciliy we prefer to consume Canestrato as a table cheese with red wine such as Nero d' Avola. Primo Sale is made from sheep's milk, it is usually called Tuma when is without salt. Is best served as a table cheese with Nerello Mascalese or Nerello Cappuccio and salads. Tuma Persa, the Lost Cheese Tuma Persa is extremely flavorful, but not salty. Made from raw cow’s milk, it has an earthy taste with a sharp finish. Is best enjoyed by itself or with a tasty bread of Castelvetrano, and it’s wonderful paired with indigenous Sicilian wines such as Inzolia. Vastedda del Belice It's a local exquisite cheese coming from the area of Belice, in the province of Agrigento. The vastedda is a "pasta filata cheese" (or stretched cheese) and it is made from sheep's milk. It is very good with white wines such as Grecanico. Ricotta infornata is made of Ricotta (cottage cheese whose name literally means "re-cooked") produced from sheep's milk, produced in the Sicilian heartland. The particularity of Ricotta Infornata is that it is ri-cooked in the oven. We suggest to taste it with white wines such as Grillo and green salad. Fresh Ricotta instead is used to fill our famous Cassatelle, fried at the end and tasted with wine Zibibbo after the wine and cheese tasting.